The etching aquatints below are artists proofs. They are signed individually printed works. The limited edition signed lithograph prints are printed on archive quality watercolour paper. 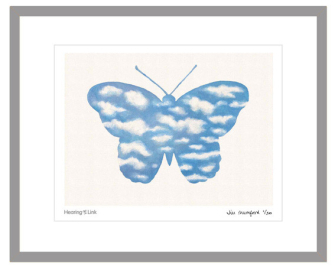 The Butterfly sky painting was made into a limited edition signed giclee print and is available to buy from the Hearing Link charity. 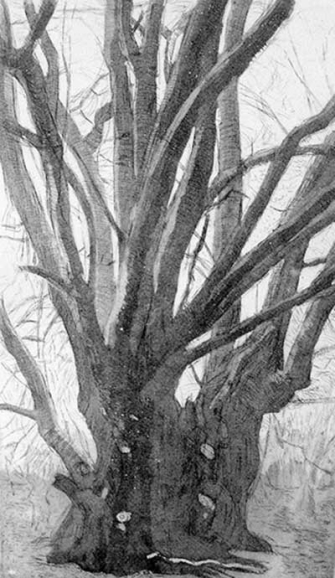 Hornbeams etching aquatint. £65 + p&p. 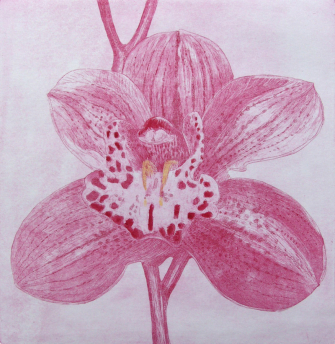 Orchid etching aquatint. £65 + p&p. 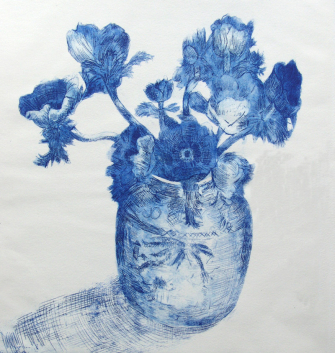 Anenome etching aquatint. £65 + p&p. 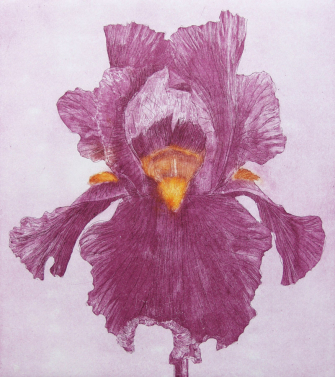 Tall bearded iris etching aquatint. £65 + p&p. 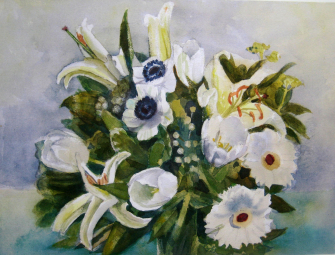 White flowers signed limited edition numbered litho prints. £65 + p&p. 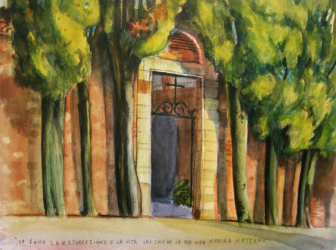 Casole Val D'elsa chapel signed limited edition numbered litho prints. £65 + p&p. This butterfly sky painting was commissioned by Ronnie Bourne, trustee of the charity HearingLink. It was made into a signed, limited edition print of 200 copies to raise funds at a charity dinner at St James's Palace in London. I gave a speech on how I came by the idea, which was inspired by the butterfly logo used by the charity. The number one print was presented to Her Royal Highness The Princess Royal, patron of HearingLink.